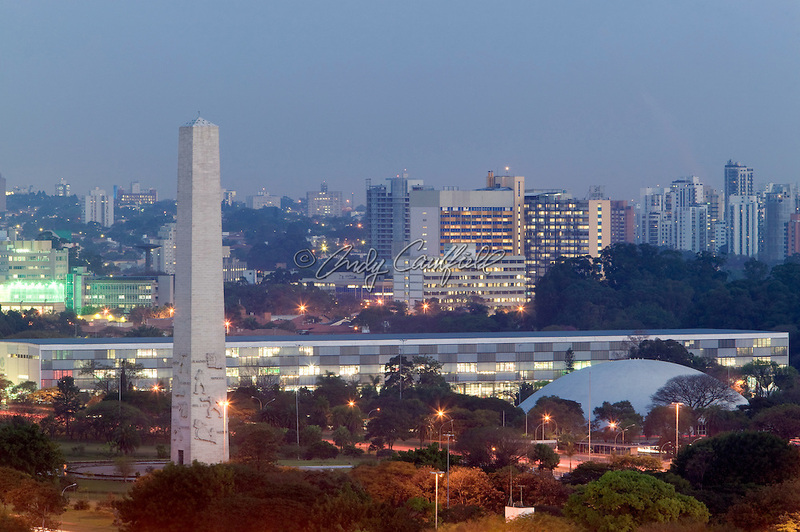 Obelisk, Bienal, Musuem of Art (MAM) in Ibirapuera park at dusk. Moema district in background, Sao Paulo, Brazil. © 2007 Andy Caulfield Al Rights Reserved.